Not all that glitters, they say, is gold. But sparkly jewelry is a fine way to express and celebrate love and adoration. 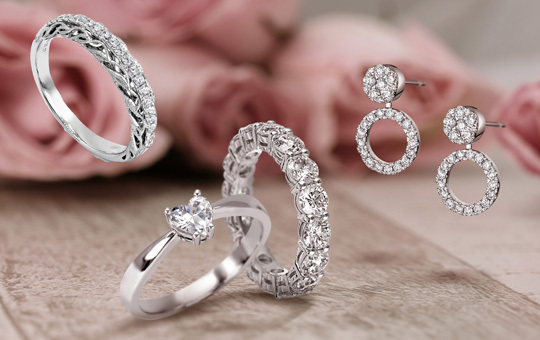 On Valentine’s Day, surprise a special lady with any of these lovely pieces that are guaranteed to make her feel like a gold. My Diamond’s white gold Eternity Ring, Heart Solitaire Ring, and Multi-way Earrings. Impervious, elegant, and precious—these exceptional qualities make diamonds one of the most special and memorable gifts one can receive on Valentine’s Day. My Diamond offers its exquisite stunning 14K White Gold Heart Solitaire Ring with 1 piece of 0.375 carat diamonds, 18K White Gold Eternity Ring with 17 pieces of 3.82 carat diamonds, and 14K White Gold Multi-way Earrings with 42 pieces of 0.87 carat diamonds (which can be worn as stud or drop earrings) as perfect presents to express eternal love. Charriol’s twisted steel cable bangles, fluid silver necklaces, and chain earrings. 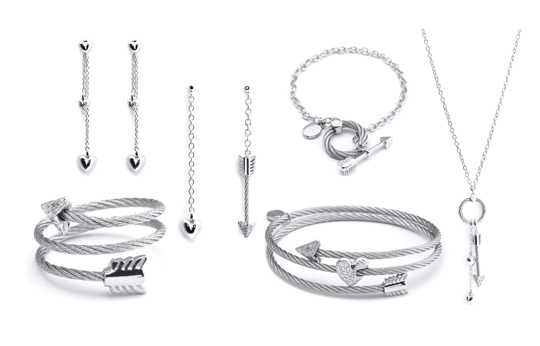 Charriol pays tribute to every woman’s passionate, daring, and plural femininity with a collection of rings, bracelets, necklaces, and earrings featuring hearts and Cupid’s arrows. Crazy In Love Again collection combines white topaz, rhodium silver 925, and steel cables to create these bold jewelry pieces that talk about love. Lovely jewelry pieces from Swarovski’s Lifelong, One, and Crystalline Glam lines. 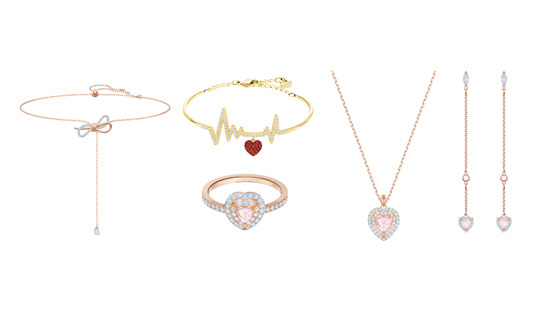 “Love is one of the brightest forms of expression.” This is the message of Swarovski’s Valentine’s Day collection, which consists of jewelry pieces that showcase fresh interpretations of classic symbols of love and seductive palette of soft nudes and pinks. The stackable rings, y-necklaces, chokers, and bracelets shine brightly with refined Swarovski crystals.